Q. Do you think India is at the inflection point with the gaming industry? A. Across the three main gaming verticals viz PC / console games, online games and mobile games, mobile gaming has been the primary growth driver for the gaming industry in India. The rapid increase in smartphone penetration along with faster and affordable internet access has played a key role in the growth of the Indian mobile gaming industry. App stores introducing multiple payment options like direct carrier billing and multiple price points for in-app purchases has helped game developers in integrating multiple monetization options in their games along with in-game dvertisements which also helps the consumers thereby resulting in the overall growth of the gaming ecosystem. The introduction of 4G has also helped the growth of online gaming with more and more people getting online to play popular online games. 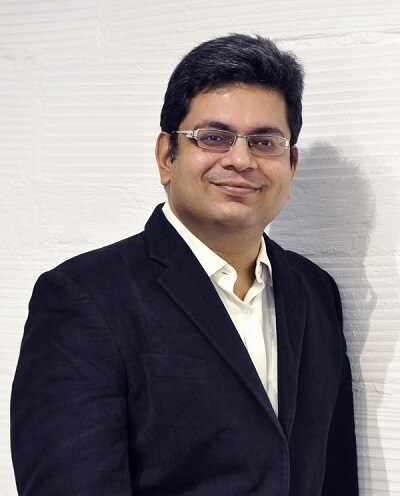 As a factor of better and more affordable devices and connectivity, and multiple monetization models, it can be safely said that the gaming industry in India is at an inflection point. Q. Cross-platform is a major issue which players do face, is there any upcoming technology to except tools like PhoneGap, WidgePad etc to make players job simpler? A. Cross-platform gaming engines like Unity3D, Unreal etc have been around for the past few years helping game developers develop and deploy their games across multiple platforms, not just on mobile but on the web, PC and console as well. The gaming engines not only give the developers the ability to shorten the go-to-market timeframe to launch their games but also give players the choice of playing their favourite game across multiple platforms of their choice. Q. What are the various ways to generate revenue through free mobile games? A. Mobile games can be monetized in different ways depending on the monetization model chosen by the game developer for their games. In this model, the games are offered for a one time download price which can range from USD 0.99 and upwards depending on the pricing determined by the game developer for their game/s. As the name suggests these games have a dual model of monetization, free + premium = freemium. These are essentially free-to-play games which the player initially downloads for free and monetization is either via advertisements (in-game ads or branded / sponsored games) and/ or in-app purchases. In this model, the games are offered for an initial download price which can range from USD 0.99 and upwards depending on the pricing determined by the game developer for their game/s and additional monetization is through in-app purchases or a monthly subscription model which is gaining traction fast.